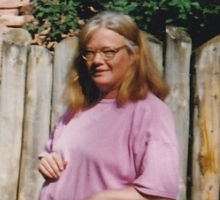 Kathryn (Kathy) Jeannen Miller, 57, passed away August 14, 2018 in Sioux Falls, SD. Kathryn Jeannen Jacobsen Miller was born March 4, 1961 at Ellsworth AFB in Box Elder, SD to Beverly (Jacobsen) Foley. She attended grade school in California and South Dakota. Kathy later attended high school in Wall, SD. Kathy held several customer service positions at various companies. She met her husband, Robert (Bob) Miller, while he was working on her parents’ hog farm in Lebanon, OR. They were married on May 31, 1984 and relocated to South Dakota. Kathy enjoyed reading books, was passionate about her animals, enjoyed spending time with family, and online gaming. Every Sunday evening, Kathy would join her mother, Beverly, and sister, Lisa, to enjoy their favorite show The Walking Dead. Kathy was a favorite among her nieces and nephews. Grateful for having shared her life are her husband: Bob; her mother: Beverly Foley of Sioux Falls, SD; two children: Paige Miller of Minneapolis, MN and Jeremy (Nikole) Miller of Summerset, SD; one grandchild: Gage; two sisters: Jodi Foley of Brandon, SD and Lisa Foley of Sioux Falls, SD; three brothers: Michael (Sandy) Foley of Chamberlain, SD, William Foley of Sioux Falls, SD, and John Foley of Fort Pierre, SD; and numerous nieces and nephews. Kathy was preceded in death by her grandparents, Nellie and Otto Jacobsen; her uncle, Simon Menning; her aunt, Delilah Menning; and step-father, Joseph Foley. Celebration of life will be Saturday, August 18thwith family and friends from 2:00 – 4:00 PM at McHardy Park in Brandon, SD. Burial service will take place at GAR Cemetery in Miller, SD on August 19th, at 10:30 AM.